As our nation goes to the polls today it is worth remembering that the climate of fear, hate and lies that the current administration espouses is not permanent. We have the power to chose a better, more noble, path. I pray we take it. This entry was posted in News & Views, Quotes and tagged advancement, brother, confrontation, fear, freedom, hatred, lying, path, power, prayer, racism, revenge, Robert F. Kennedy, teach on November 6, 2018 by Ray Buchanan. This entry was posted in Hunger & Poverty, News & Views, Quotes and tagged beliefs, brother, children, confrontation, distinction, enemies, family, fear, freedom, future, hate, job, misfortune, policies, quote, Robert F. Kennedy on December 14, 2015 by Ray Buchanan. All life is sacred. Allowing such suffering is an obscenity. This Somalian child is a member of our human family, created in the image of God. There is no spiritual tradition, no faith path, no religion that condones, tolerates or allows such misery. Every hungry and starving child in the world is an indictment against superficial spirituality that ignores the reality of this unnecessary evil. 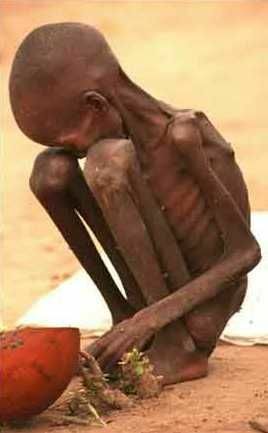 When will we decide it’s time to become human enough to erase the obscenity of hunger once and for all? If it’s not today it’s not soon enough. This entry was posted in Hunger & Poverty, Photos and tagged brother, family, famine, God, hunger, life, obscenity, sacred, Somalian, suffering on February 27, 2015 by Ray Buchanan.